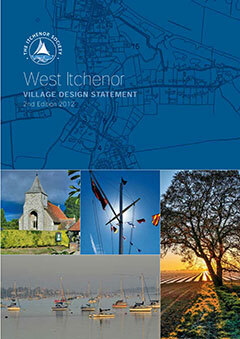 When the 2012 version of the Village Design Statement (VDS) was printed, we anticipated the need for updating as and when there were changes made to local planning rules. These sections were placed in Appendix 6 and Appendix 7 and are referred to throughout the VDS. Now that the Local Plan has been approved, we have issued the appropriate revisions to Appendix 6 and Appendix 7. We would appreciate it if you could take a moment to click here to see the revisions. This document reflects the original input and ideas of the 2004 version but it has been brought up-to-date with current planning policies, the newly extended Conservation area, new photographs, a revised layout and additional information. In the hard copy you will notice that all town planning policies are located in Appendices 6 and 7 which are now in loose leaf and therefore it will be much easier for us to keep the VDS up-to-date by issuing revisions of these when necessary. The VDS was approved by Chichester District Council (CDC) in December 2012 and will be referred to when considering planning applications within our village. Since its formal adoption by CDC it has already proved invaluable in dealing with proposed development in Itchenor. We would like to thank all the residents who let us have their views during the period of consultation. We are also very appreciative of the help, input and financial contributions towards the design costs made by the West Itchenor Parish Council and Chichester Harbour Conservancy. We are extremely grateful to Chichester District Council for the assistance given to enable us to bring this VDS up-to-date. Finally, our thanks must go to our Chairman, Christopher Mead-Briggs. Without his drive, commitment and enthusiasm for maps, historic buildings and the village, this update would not have come to fruition.